Lloyds Business Brokers MD Garry Stephensen is pleased to announce the firm's new partnership agreement with My Translator, which will further increase the exposure of Lloyds Business Listings to the Asian Market. With this Agreement Lloyds will be able to acurately translate our clients business Listing, Information Memorandium and Financial information for Chinese investors in Australian Businesses. My-Translator is a private company with its head office located in Brisbane Australia with a branch office in Donnguang China. In 2012 My-Translator combined with the Dongguang Translation Centre who have been leaders in the Chinese translation market in Southern China for over 20 years, adding the vast experience of their Chinese translation team to our Company. They offer a world leading human Chinese translation service that gives us the ability to deliver low cost, highly accurate human translations within a 24 hour turn around to clients over the World with a world-class team consisting of in-house native translators, editors and proofreaders providing high quality and cost-efficient English – Chinese - English human translation. Through their committed efforts our customer focused and experienced team My-Translator aims to provide our clients with quality human translation services and support to allow them to achieve the best possible outcome, whilst always acting with integrity and respect for community values. Our team of Business Brokers in Brisbane, Sydney Business Brokers and Melbourne Business Brokers work hard to put your business in front of as many international buyers as possible, including those from China and Asia Pacific. 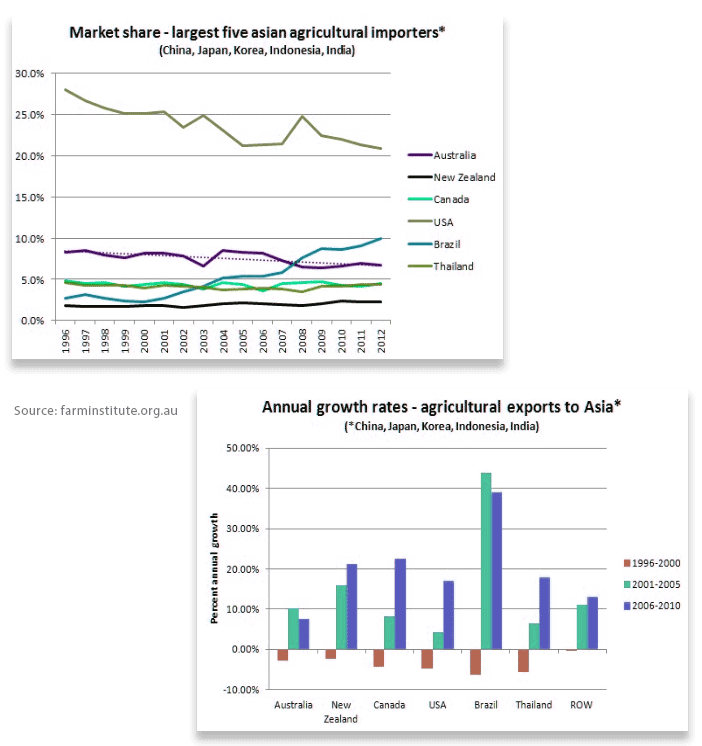 Asian economies have thrived over the past decades. And the rise of China as a global power is driving new capital and geopolitical ideals between China and Australia. According to the Department of Industry, Innovation and Science, Australian companies are receiving new opportunities that previously were not there. Opportunities to break into key Asian markets, increasing export revenues in the process. Opportunities in landmark free trade agreements with Japan and South Korea. Australian consumers will also benefit from better priced manufactured goods including less expensive appliances, electronics and vehicles. Agreements between Australia an China have ensured that Australian coal and iron ore exports to Korea and Japan have 0% tariffs. This tariff relaxation is worth over $37 billion to Australia. The sharing of geopolitical ideals between China and Australia has also shaped immigration from Asian countries. Chinese migrants have become over-represented in units/apartments in Australian capital cities. Nationally, only 7% of Australian-born people reside in units, in comparison to approximately 30% of those born within Asia. One environmental implication of this phenomenon is that the housing footprint of China-born migrants in Melbourne increased five-fold over the past 10 years. The financially lucrative relationship and migration between Asia to Australia, highlights the importance of accessing these markets for the sale of your company. Lloyds Brokers maintain strong relationships with business partners throughout the US and Asia pacific regions, to increase the likelihood of selling your business for the best price possible. Please contact our experienced team below, to discuss how to best attractive buyers from the global marketplace.